This natural, certified organic conditioner from skin blossom is guaranteed to leave your hair soft, sleek and shiny. Made with plant derived ingredients, the blend of Palmarosa, Bergamot, Pracaxi Oil and Rosemary will soothe and protect your hair, leaving it deeply conditioned without the use of nasty chemicals like parabens and SLS. Cruelty free & suitable for vegans. 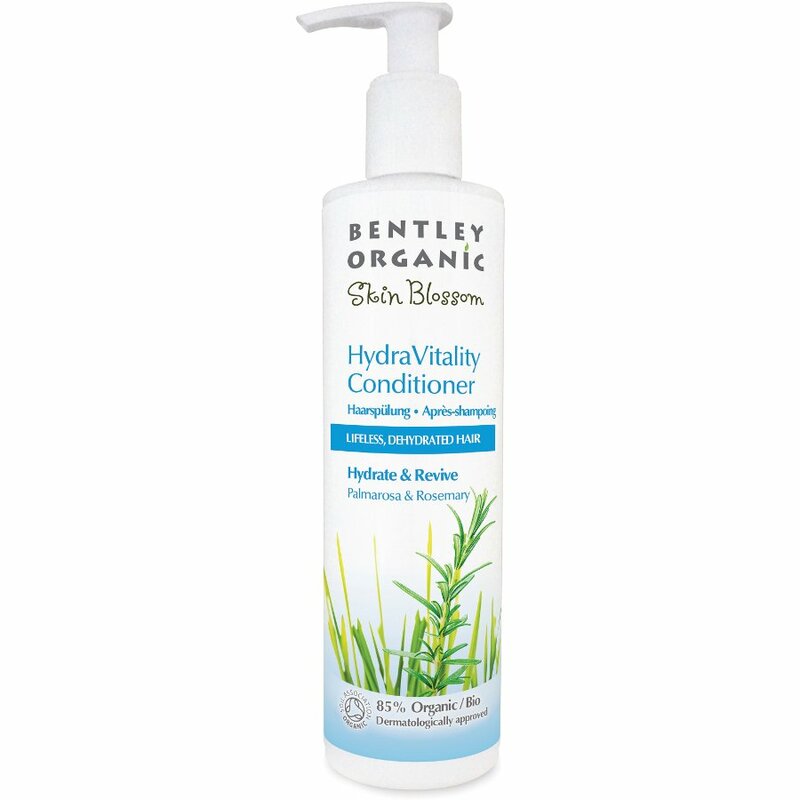 There are currently no questions to display about Bentley Organic Skin Blossom Complete Care Conditioner - 300ml. This Skin Blossom collection is designed to reflect a care for the individual and for the environment. Its Organic Bloom skincare range has been created using organically produced, skin friendly ingredients, especially formulated to nourish and care for the skin in a natural, organic way. Free from artificial colours and fragrances, hydrogenated oils and GM ingredients, these eco-friendly beauty products are all biodegradable and packaged in fully recyclable containers. The whole range is Soil Association certified and registered with the Vegan Society.